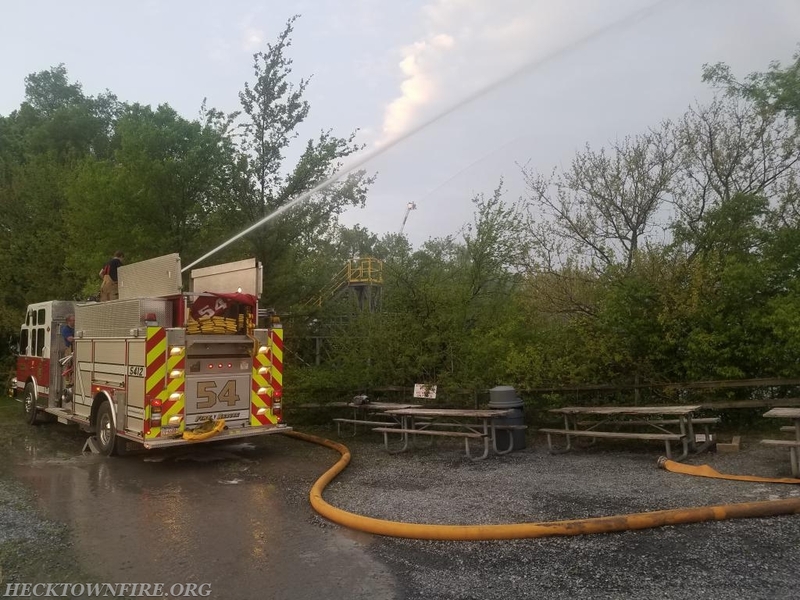 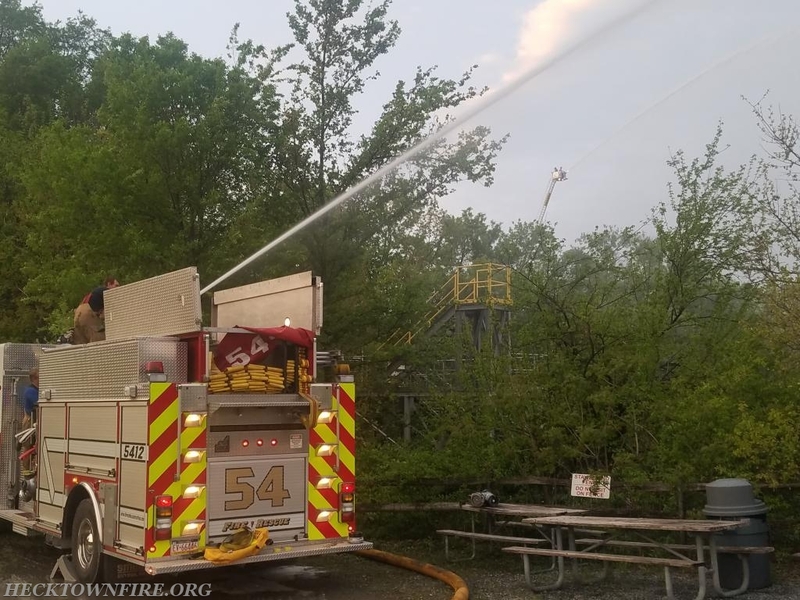 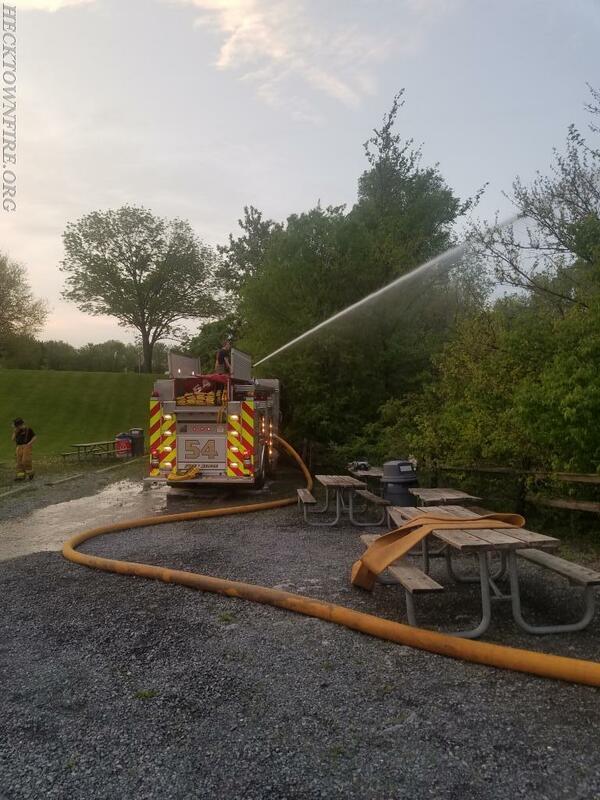 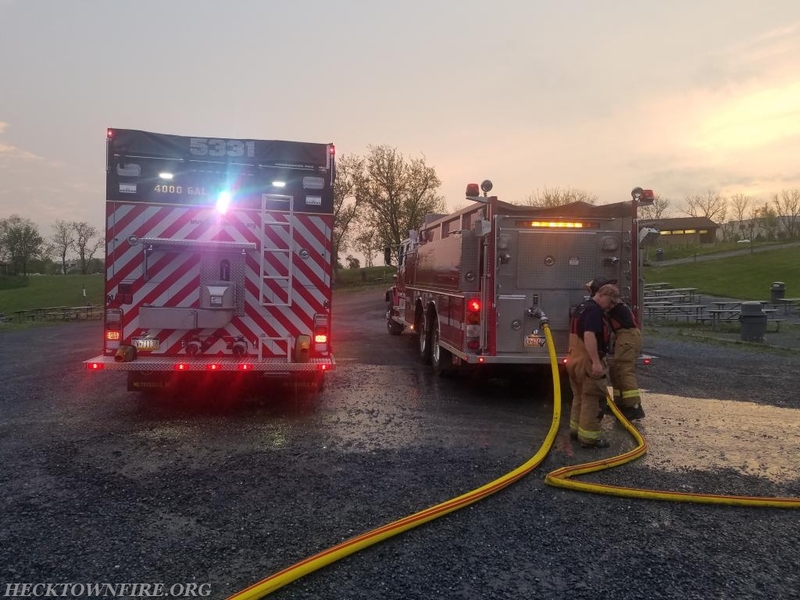 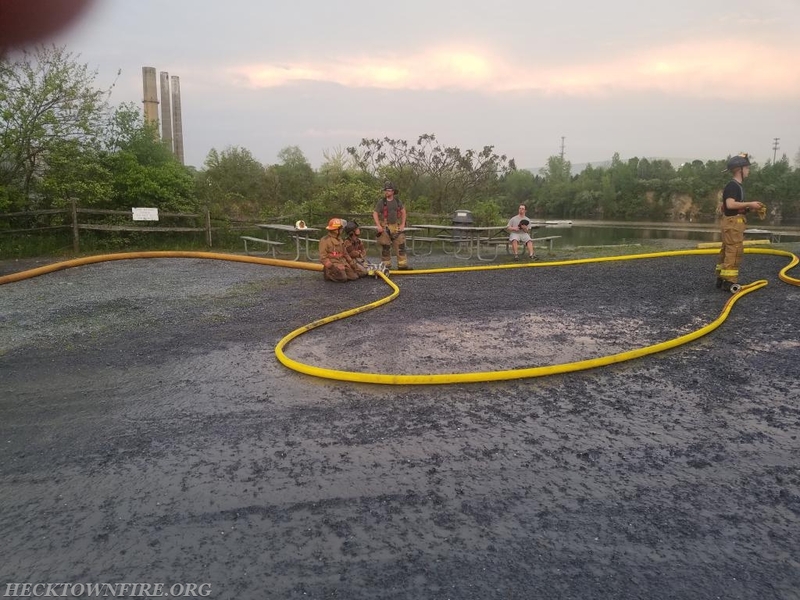 Station 53 hosted stations 50, 52, and 54 for a water supply training event at the Dutch Springs water park on Monday evening. 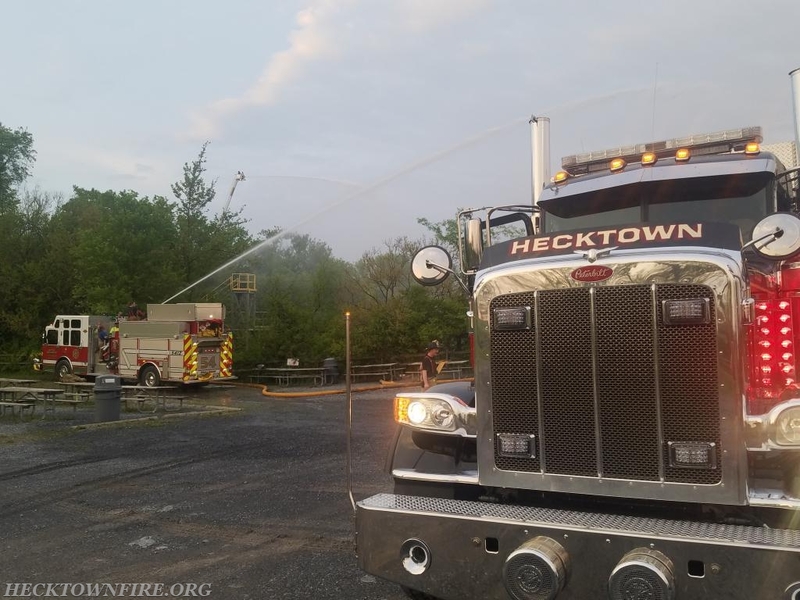 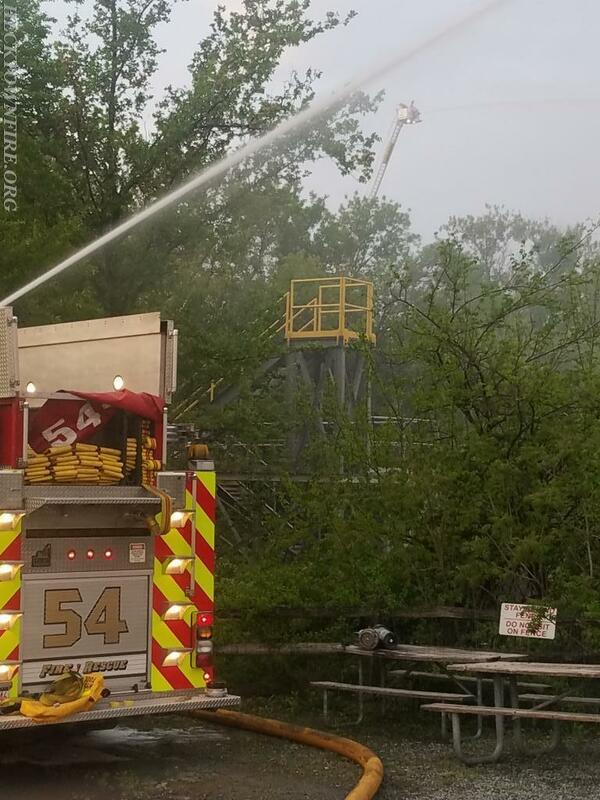 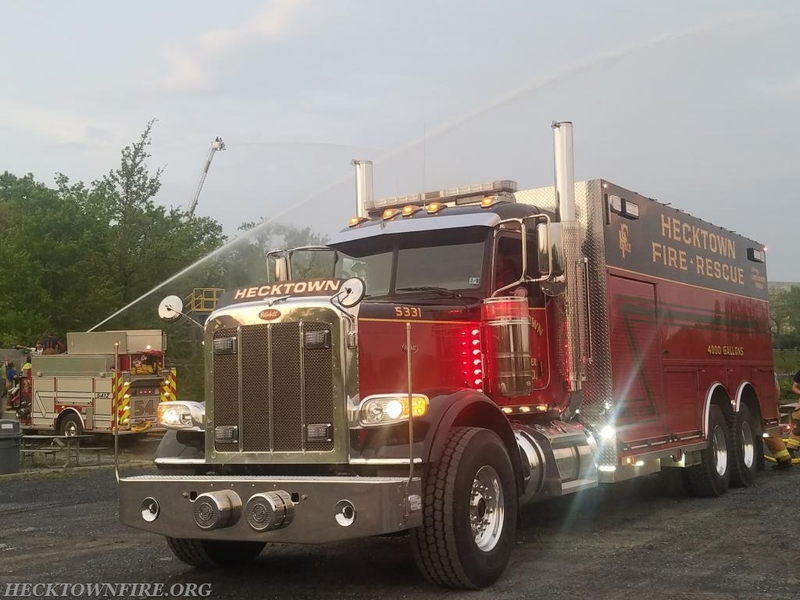 Tankers from Hecktown, Upper Nazareth, and Bushkill carried water to the dump site wher Engine 5311 drafted and supplied Tower 5021. 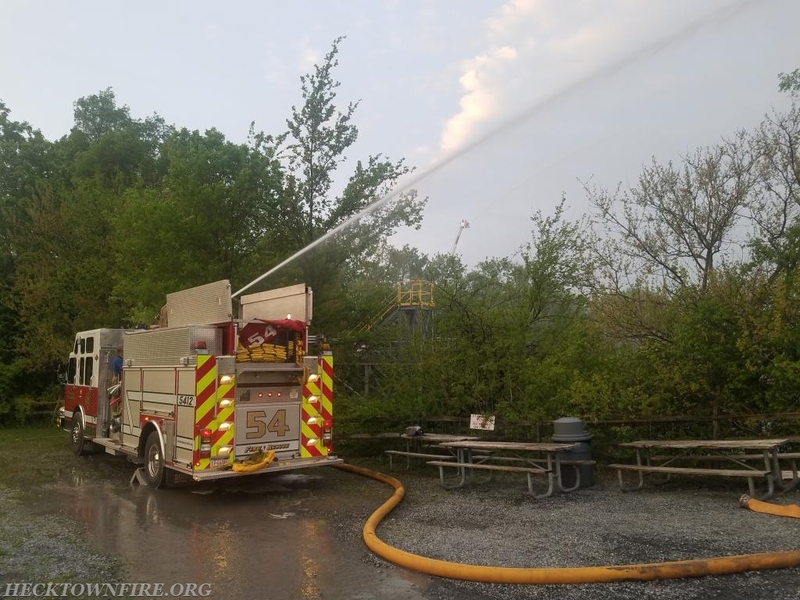 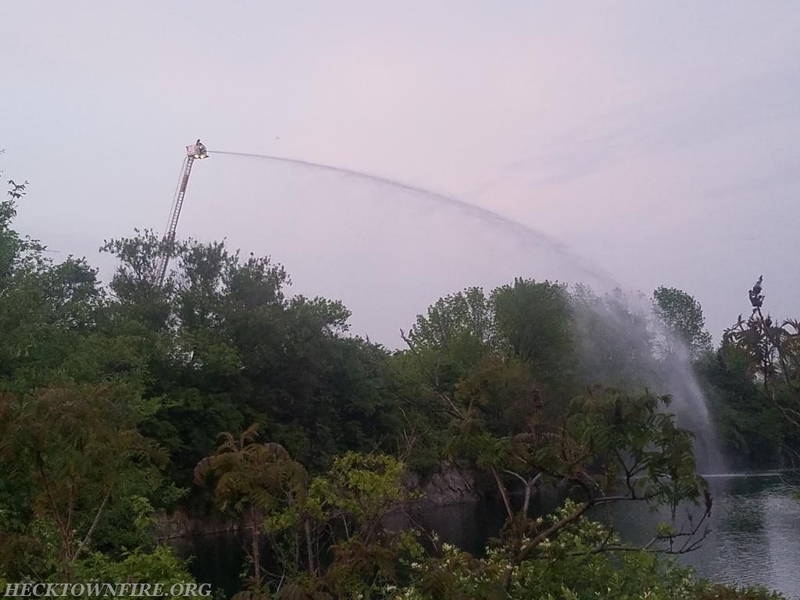 Engine 5412 set up fill site operations at the dry-hydrant, while Rescue 5041 provided lighting. 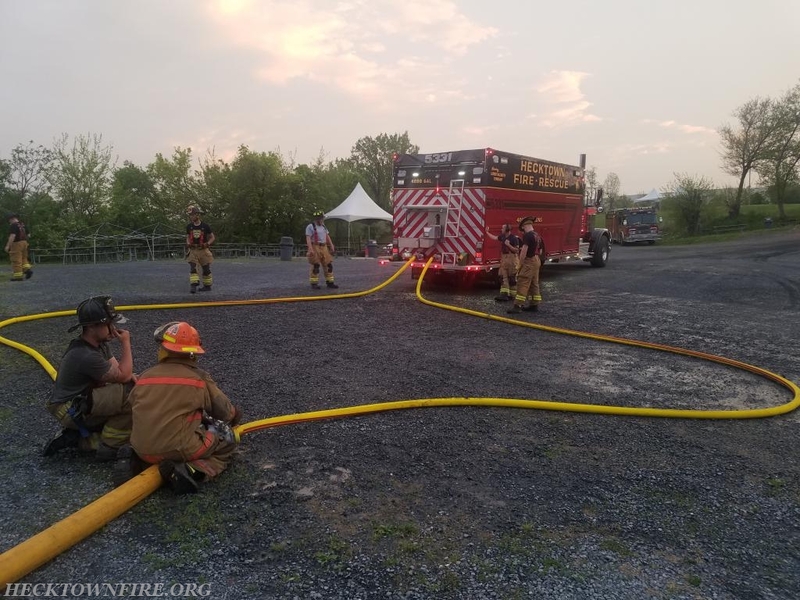 Thank you to all of our sector 5 agencies for participating in the training.